SEATTLE (Reuters) - Microsoft Corp made its biggest move into the mobile, Internet-accessible world of "cloud" computing on Tuesday, taking the wraps off a revamped online version of its hugely profitable Office software suite. The world's largest software company is heaving its two-decade old set of applications -- including Outlook email, Excel spreadsheets and SharePoint collaboration tools -- into an online format so that customers can use them on a variety of devices from wherever they can get an Internet connection. It wants to push back against Google Inc, which has stolen a small but worrying percentage of corporate customers with cheaper, web-only alternatives, which remove the need for companies to spend time on installing software or managing servers. "It puts Microsoft in a better position than they were -- they now have a broad product that they can more easily sell," said Michael Silver, an analyst at tech research firm Gartner. Microsoft shares rose 0.8 percent on Tuesday, following a 3.7 percent jump the day before, partly buoyed by hopes that the company can ultimately boost profits by extending its software dominance to the growing cloud sector. 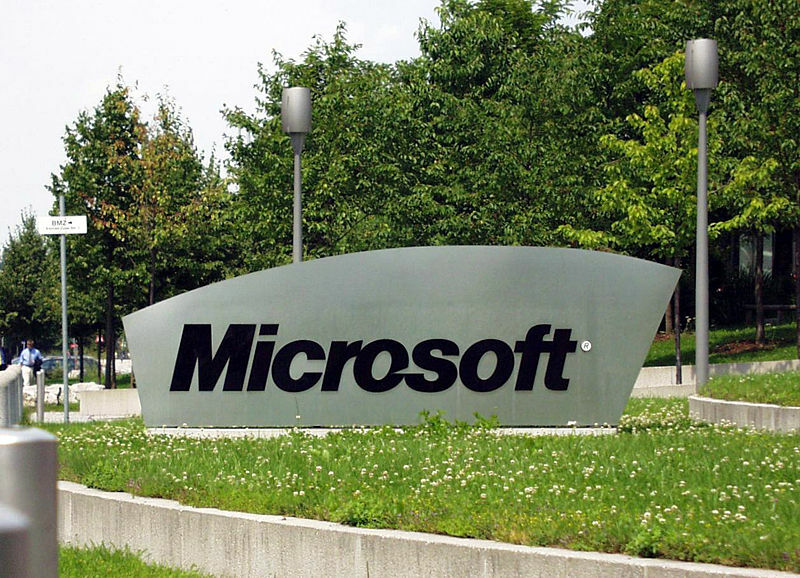 Microsoft has offered online versions of some Office programs -- chiefly Outlook email -- for its corporate customers for several years, and last year rolled out free versions for individual home users. Chief Executive Steve Ballmer presented the overhauled and updated set of offerings -- collectively called Office 365 -- at an event in New York City on Tuesday morning, stressing that online versions and built-in conferencing tools can save users money, especially small and medium-sized businesses. One test customer "expects to cut travel costs and reduce carbon emissions by 30 percent after they retire the 60 servers they think they will save," said Ballmer. It's a new challenge for Microsoft, which built itself up on expensive versions of software installed on individual computers. That business model turned the Office unit into Microsoft's most profitable, earning more than $3 billion alone last quarter. Microsoft's plan is to make up for smaller profit margins from web-based applications -- due to the cost of handling data and keeping up servers -- by grabbing a larger slice of companies' overall technology spending. "The key message is this is a great opportunity for organizations to get out of the business of trying to provide commodity yet mission-critical services," said Silver at Gartner. Microsoft said it will charge from $2 per user per month for basic email services to $27 per user per month for advanced offerings. Google charges a flat fee of $50 per user per year for its web-based Google Apps product, which offers email, calendars, word processing and more online. Microsoft, like Google, will host users' data remotely, and maintain all the servers in vast data centers. Unlike Google, it will also allow companies to put their data on dedicated servers should they choose, or keep the data on their own premises. The full launch of Office 365, which has been in beta testing since last autumn, spices up the lively competition with Google for new users. Earlier this month, Google snagged InterContinental Hotels Group (LSE:IHG.L) as a major customer, moving 25,000 of its employees onto Google email from Outlook. But Internet-centric Google -- whose success is based on its dominance in Web search -- is confident it has the upper hand in the cloud. "Compared to what they (Microsoft) have in the market today, they have nowhere to go but up," said Dave Girouard, head of Google's worldwide enterprise business, in an interview last week. "We feel we're years ahead of them in terms of building a viable cloud solution that just works."